Valentine's Day is way behind us, but we thought it would be fun to play ergonomic matchmaker. Today on the blog we'll be showcasing awesome office chairs designed to meet individual personalities, comfort needs, and body types. Rest assured, we've got the perfect seating solution for you. These lovable chairs offer the support, good looks, and ergonomic qualities needed to help you make it through the toughest work days in style. Are you looking to modernize your office interior in 2018 without sacrificing comfort? The iDesk Oroblanco chair is your perfect match. This modern mesh back chair is modern and fashionable without being too over the top. The Oroblanco also comes equipped with a built in guide for personal adjusting. 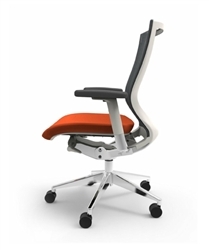 With this designer chair you'll be able to compute healthy and with good posture in no time. Big guys often have a hard time finding an office chair they can rely on. If this sounds like you, have no fear. We are here to help! Take one sit in the 34663 model Titan heavy duty office chair with adjustable arms from MooreCo and you'll be ready for the demands of even the most task filled days. 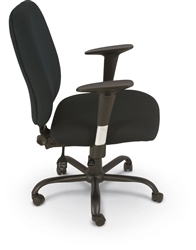 The Titan chair is built for everyday use and supports users up to 500 pounds. With the Titan, big guys no longer have to feel like they're going to break their chair when adjusting to get the comfort and support they need. 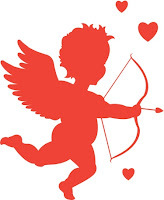 This year workers are head over heals for standing height furniture that reduces energy dips and muscle fatigue. All too often, shoppers who purchase a standing height desk find that they also need a chair to provide support when sitting is necessary. Enter the 2.0 extended height stool from Eurotech. This all new mesh seating solution boasts a multi functional seat, foot ring, ratchet back, and adjustable arms. The Concept 2.0 stool is the perfect match for your standing height workstation. Liven up your workspace in 2018 with a vibrant office chair that matches your personality. Brands like Woodstock Marketing have you covered with chairs like the Joplin. 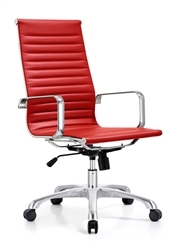 This red leather office chair with a ribbed back design and chrome features is nothing short of upscale. Playing matchmaker is easy when you know about chairs like this! There's nothing wrong with keeping things practical. It doesn't mean you're looking for something boring or lackluster. It just means you don't want a chair that's going to overpower your furniture. 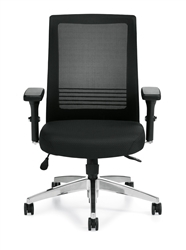 We regularly recommend the new 567 model manager chair regularly as it's the perfect match for the practical shopper. Available in classic tones like black and cream, the 567 chair is stylish, user friendly, and comfortable without the need for a tone of complicated adjustment features. 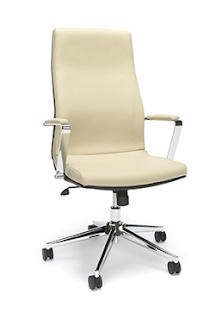 Last but certainly not least, allow us to introduce the 11325B chair from Offices To Go. If you're shopping on a budget and having a hard time finding a reliable ergonomic chair that's up to date with today's standards, this all new chair from OTG is a must consider. Any office chair matchmaker worth their salt will tell you that at $235.99, the 11325B is an absolute winner in the workplace. 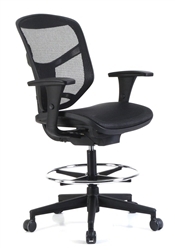 This high back mesh chair comes packed with all the bells and whistles needed to keep you operating at peak performance levels. Some of our favorite attributes include the adjustable lumbar support, synchro tilt mechanism, adjustable arms, and polished base. While it has only been on the market for about a month, this seating solution is already a hot commodity that proves you don't have to break the bank to sit comfy at work!